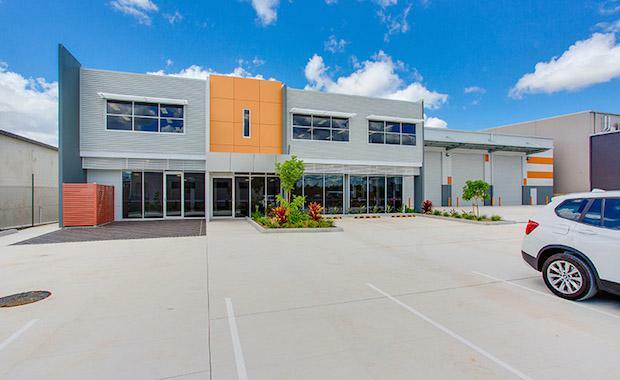 Industrial Development Group (IDG) has sold the largest speculative industrial project within its Metrowest estate in Seventeen Mile Rocks, south of Brisbane for $4.4 million to a private WA-based investor, reflecting a 7 per cent yield. The 2,356 square metre free-standing tilt slab office warehouse on 4,000 square metres of light industry land at 128 Bluestone Circuit was recently leased to US-based business Thermo Fisher Scientific on a seven-year lease with options and reviews at an annual net rent of $309,000 plus GST and outgoings. While IDG and its participating investors had originally planned to retain the property for the medium term, the leasing agent, Ben Donnelly of Savills, introduced an interstate investor off market. , said he believed that this yield could be a near record rate for a new free-standing industrial of this price range. “I cannot recall a deal breaking that yield for industrial property of this size, although I am aware of several retail-based sales in the mid-to-high 6 per cent range of late,” Mr McNamara said. said the very sharp yield achieved on the sale of 128 Bluestone Circuit reflected the quality of the new development, the security of a long-term lease to a major multi-national tenant, and the scarcity of similar offerings in the current market. “It is one of the sharpest yields I can remember on a Brisbane industrial transaction of this size, which highlights the strength of investment demand at present chasing limited opportunities of this quality,” Mr Donnelly said. Mr McNamara said the offer and acceptance of the purchase of 128 Bluestone Circuit was only days ahead of a similar off market offer for the property, showing that quality, location and security of tenure is generating intense investor demand in the current market, especially with the low availability of quality products.